As if we needed another reason to call David Harbour the most enthusiastic costar of all-time, the Stranger Things actor just expressed his admiration for frequent onscreen partner Winona Ryder. 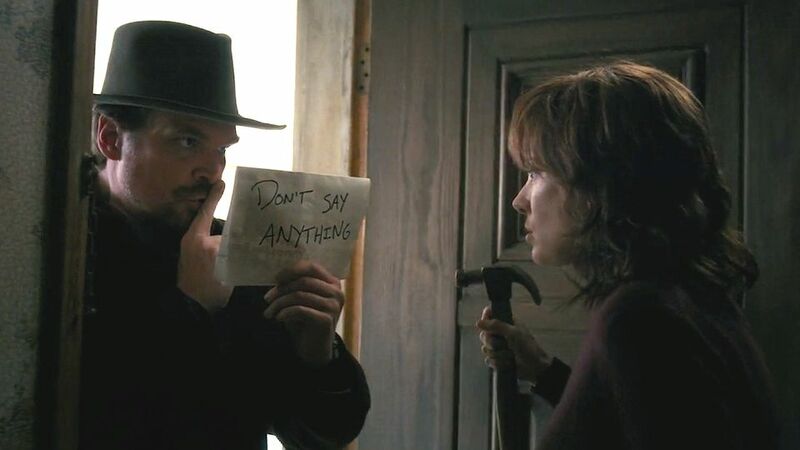 While hardly a day goes by without David Harbour showing love for his Stranger Things costars — whether it be an Instagram shout out or a sneaky T-shirt — Harbour, who won Best Supporting Actor in a Drama Series at the Critics’ Choice Awards last night, recently opened up to Collider about his upcoming film, Hellboy, what it’s been like to work on the breakout Netflix series, and how much he values working with Ryder. "That, to me, is probably the most gratifying working relationship I’ve ever had, as an actor," Harbour said, on working with Ryder. "I’ve never had a working relationship that’s so personal and that I feel so inspired by. Every day that I get to work with her is like playing tennis with Pete Sampras. I can’t keep up! She’s the best of the best. She’s so personal in her work. I don’t know how to describe it other than personal. The stuff that we have together is so real and vivid." In the series, Harbour’s Chief Jim Hopper and Ryder’s Joyce Byers, are initially at odds with one another as Hopper searches for Joyce’s missing son. But as the series progresses, the two develop a close friendship — leaving many fans looking for the two to end up together. Harbour revealed to Collider that part of what drew him to Stranger Things were the intense scenes between Hopper and Joyce, as well as the electric dynamic the characters have. "What first got me into the project, initially, was those scenes with her," Harbour said. "Hopper is a really shut down, really miserable guy who clearly can’t stand this woman, and he also deeply needs her to fix him, as silly and cheesy as that sounds. I feel like they complete each other and they can heal and fix each other, and they’re also completely wrong for each other." David Harbour and Winona Ryder have seriously incredible chemistry and it’s something that shines through in every scene they share. This is hardly the first time Harbour has gushed about Ryder, but we love seeing him give her such high praise. We can’t wait to see the two continue to grace our TV screens when Season 3 hits Netflix (hopefully) sometime soon.